Hyatt Hotels Corporation (NYSE: H) announced today that a Hyatt affiliate has entered into an agreement with A&B Group for the Nam Nghi Phu Quoc Island to join The Unbound Collection by Hyatt brand by early 2019. Hyatt Hotels Corporation (NYSE: H) announced today that a Hyatt affiliate has entered into an agreement with A&B Group for the Nam Nghi Phu Quoc Island to join The Unbound Collection by Hyatt brand by early 2019. This will be the first hotel in Southeast Asia under The Unbound Collection by Hyatt brand. Nestled within a secluded oasis featuring pristine beaches and the rich biodiversity of Phu Quoc, the 114-room hotel made for travelers looking to fulfill a sense of discovery will grow Hyatt's resort presence in Vietnam. "We are pleased to introduce The Unbound Collection by Hyatt brand to Southeast Asia with Nam Nghi Phu Quoc Island, a destination resort where guests will be able to create one-of-a-kind memories and stories amid awe-inspiring, natural surroundings," said David Udell, group president, Asia-Pacific, Hyatt Hotels Corporation. "We are grateful to celebrate the continued relationship with A&B Group and excited to expand Hyatt's resort offerings in Vietnam together following our collaboration on the Hyatt Regency Nha Trang, which is expected to open in 2019." The resort will be located in Phu Quoc, the largest island in Vietnam circled by pristine white sand beaches spreading across 93 miles (150 kilometers) of coastline. Half the island is within the confines of national park and UNESCO World Heritage-designated, Kien Giang Biosphere Reserve, one of the largest biosphere reserves in Southeast Asia. The reserve features rich marine life, tropical jungles, wetlands and waterfalls. 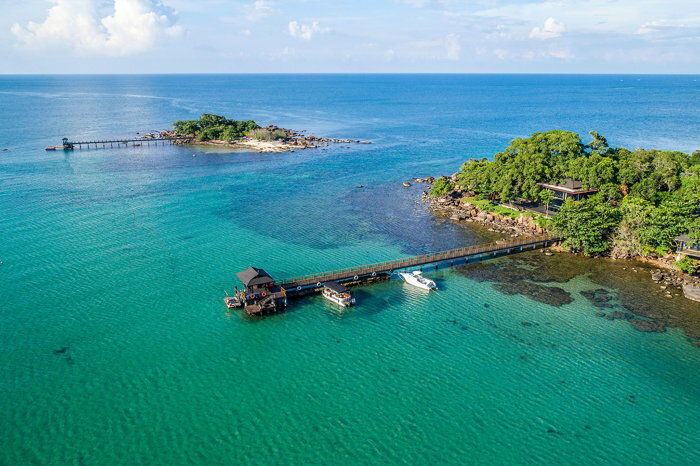 "The refreshed Nam Nghi Phu Quoc Island will provide local and international guests with exceptional experiences set amid a pristine ecosystem and private sanctuary," said Ha Van An, chairman, A&B Group. "We are delighted to work with Hyatt and are confident that its international hospitality expertise will enable us to elevate the guest experience at our resort." Nam Nghi Phu Quoc Island will feature 51 villas and 63 guestrooms, four dining outlets, meeting spaces, a swimming pool, kids club, and spa and fitness center. With an exceptional location and a picturesque view of the turquoise waters, the resort will be an ideal place for destination weddings and vacation getaways for couples and families.